I was born and raised in England so my first knowledge of Kylie Minogue was in the popular Australian soap opera, Neighbors. She then moved on to commence her career as a recording artist in 1987. Her first single, "The Loco-Motion", spent 7 weeks at number one on the Australian singles chart and became the highest-selling single of the decade. I must admit my favorite Kylie song has to be the cheesy "I should be so lucky" because it brings me back to my teenage years - which one was your favorite? 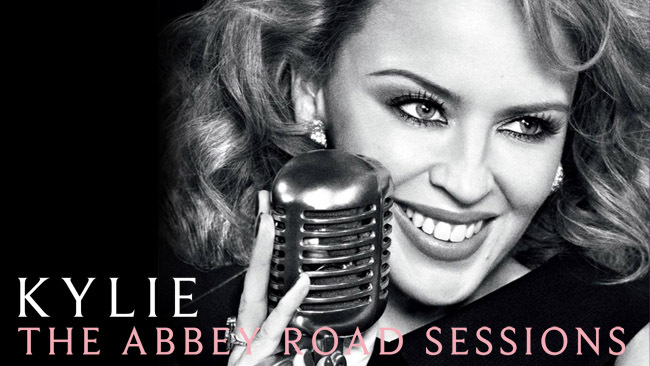 Kylie Minogue is celebrating 25 years in music with her new album, The Abbey Road Sessions. The album, recorded in London’s legendary Abbey Road Studios with a full orchestra, features sixteen Kylie classics, all beautifully reimagined and rearranged. Some of the hit songs include: "I Should Be So Lucky", "Can't Get You Out Of My Head" and "The Locomotion". Other highlights include fan favorite but previously unreleased "Flower", a song she wrote years ago following her battle with breast cancer, an ode to the child she hopes to have one day. I'm a huge pop fan and so this album is a grown up version with the high-end pop production stripped away. While this was a bold move but what a smart move because all her fans like me who grew up with her will certainly recognize the original songs but be fascinated by the grown up difference. I love it equally however will forever revert back to the original just to relive the memories of my youth. BUY IT Grab a copy for your Christmas stocking at Amazon for only $14.31 & eligible for FREE Super Saver Shipping on orders over $25. Surprise your friends at your Christmas party with this album - it will definitely be a conversation starter. Disclosure: I received a free CD for review from One2One Network, and am eligible for a drawing for doing so. All opinions stated in the review are honest, and are my own. I didn't know she sang this song.i know the song well. Note 7 with Fast Charger and USB Type-C Port. Thanks for sharing great post. Fantastic post again and keep it up.